Interests: Cyber-security, Privacy, Software Engineering. Professor Lepinski has broad interests covering cyber-security, computer networks, and software development. Prior to joining the New College faculty, he worked for nine years at BBN Technologies. His work in industry focused on transitioning security and privacy technologies from the academic literature to use in real-world systems. 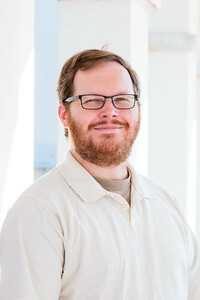 Professor Lepinski is active in the Internet Engineering Task Force (IETF), the group that develops technical standards for use on the public Internet. In the IETF, he has played a key role in work on interdomain routing security, privacy of location data, and HTTP-layer authentication. His current research focuses on the security of widely-deployed Internet protocols, and the evolution of the public Internet.